Our organically crafted Tamanu Body Butter is derived from the cold pressing of the seed kernels of the Calophyllum inophyllum tree, cultivated in Vietnam, to render the thick, olive green colored, virgin Tamanu Oil with a mild pleasant aroma. We then take this organic, unrefined Tamanu Oil and combine it with our proprietary exotic butter base using our unique blending process to produce a truly luxurious, ornamental green-coloured body butter which quickly melts into the skin and hydrates from within. 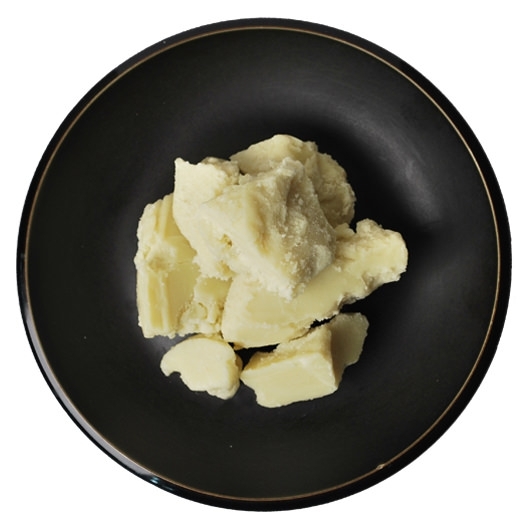 Tamanu Butter is excellent for sensitive skin, it also makes a great addition to anti-aging formulas, as it helps promote the healthy, younger-looking skin. Combined with its antioxidant properties, it works not only tighten and firm the skin, but also provide protection from environmental stressors. The antimicrobial, antibacterial, and anti-inflammatory properties of Tamanu butter makes it an effective soothing and nourishing agent for pimple and acne prone skin. The butter can also be used to treat a range of infections like athlete's foot, ringworm, itchy scalp and more. Tamanu has also been known to possess regenerative abilities by boosting the skin's cell renewal and helping to reduce the appearance of scarring as well as helping to prevent their formation, with a unique capacity to promote the formation of new tissue.